Having won the recent tri-nation ODI series, defeating Bangladesh in the final, Sri Lanka will carry some confidence into a challenging Test series. After winning the tri-nation ODI series final on Saturday, Sri Lanka will be hoping they can carry that form into the Test arena when they began a two-match series against Bangladesh at the Zahur Ahmed Chowdhury Stadium, Chittagong. Sri Lanka have a good recent record in the longer format, having lost just one of their last five Test matches. This included a 2-0 series win against Pakistan in UAE and a 1-0 defeat to India. Under Dinesh Chandimal's captaincy, the Sri Lankans did well to challenge India, placed at No.1 in the MRF Tyres ICC Test Rankings, drawing the first and third Tests despite being under severe pressure at times. Bangladesh will be without their captain Shakib Al Hasan, who has been ruled out of the series due to a finger injury. His loss comes as a major blow and Mahmudullah will step in as skipper in the all-rounder's absence. Bangladesh's last Test series was not a happy experience, as they were comprehensively beaten in South Africa, but they can take comfort from their home record. 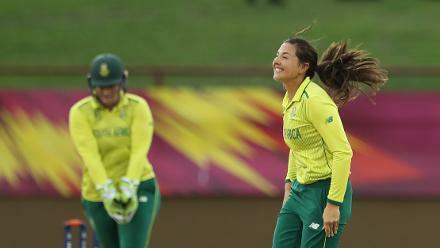 They have drawn with Australia and England in their two previous home series, claiming a first-ever Test match victory against each. 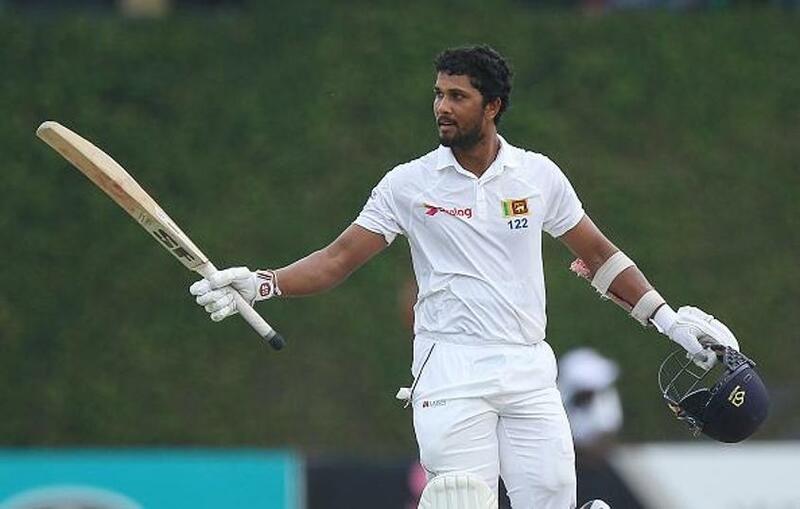 Dinesh Chandimal (Sri Lanka): The Sri Lanka captain enjoys good recent Test form, having scored a century (164) in his last match, against India in Delhi. That knock came in a pressure situation, with India having racked up 536/7dec, and he will hope to lead from the front once again versus Bangladesh. He and the ex-captain Angelo Mathews will be the key wickets for the hosts. Mahmudullah (Bangladesh): The 31-year-old will be captaining his country for the first time in Test cricket and he will also be expected to provide vital runs from the middle order. He topped Bangladesh's batting averages on the tour of South Africa late last October, hitting an impressive 66 against a formidable attack in tricky conditions in Potchefstroom. The last Test match in Chittagong was played in September 2017 against Australia and the surface assisted the spinners. Nathan Lyon, the off-spinner, finished with 13 wickets in the match. A similar surface could be on offer this time around and both sides have spinners well-equipped to make the best use of the conditions. While Bangladesh have Mehedi Hasan and the recalled veteran left-arm spinner Abdur Razzak in their ranks, Sri Lanka have the experience of Rangana Herath and the mystery spin of Akila Dananjaya at their disposal. 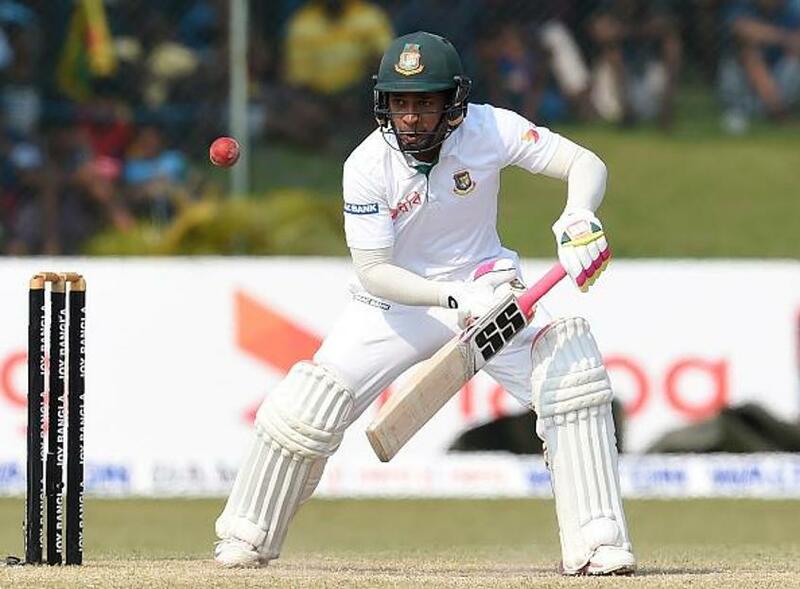 Mushfiqur Rahim (Bangladesh): The former Bangladesh captain was in good form during the tri-nation series, as well as during Bangladesh's last Test home series against Australia. In Shakib's absence, his role becomes all the more important as the middle-order talisman. With 58 Test matches under his belt, Rahim's experience will be crucial. Rangana Herath (Sri Lanka): The most experienced member of the Sri Lankan team and Chandimal's go-to bowler, Herath should find conditions to his liking in Chittagong. Capable of turning matches on his own, Herath was the hero of Sri Lanka's first-ever Test series victory in the UAE, picking up 16 wickets in two matches when they beat Pakistan last October.